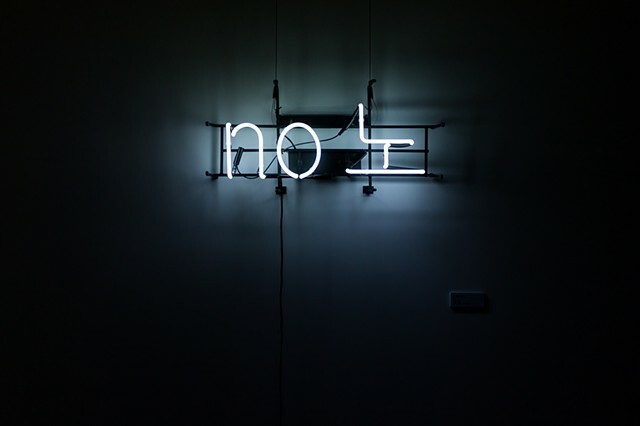 This sign says "no" in English and Korean. In Korean, "no" has many meanings, including "string" and "hearth". 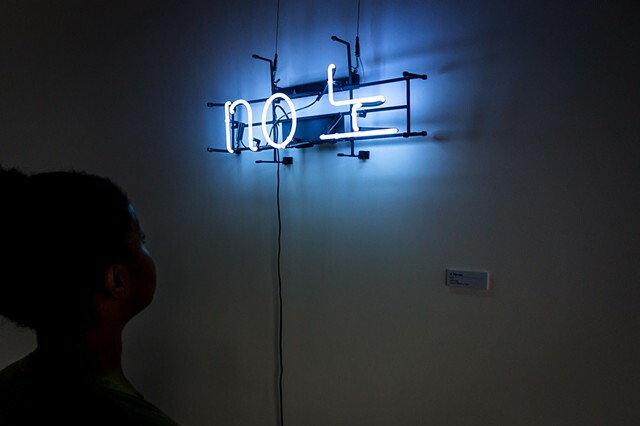 These multiplicity of meaning can be interpreted as relating to the construction of the sign itself or to the cultural differences between the two languages. This manufactured work is part of my ongoing interest in over-socialization. Shown in Salt Gallery. Photos courtesy of Johan Ahn.